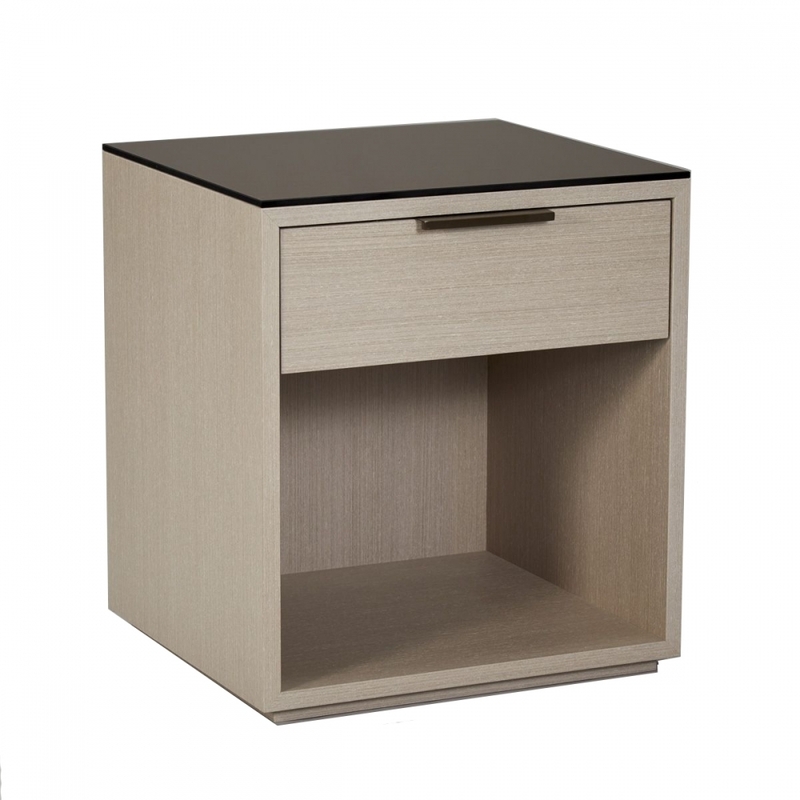 Renowned for their elegant simplicity British furniture designers, Robert Langford have teamed up with the London Design Group to create the effortlessly stylish Grosvenor Bedside Table. Perfectly scaled to suit the latest in Urban schemes as well as those with a Mid-Century Modern theme, the smart natural veneer finish crowned with a smoky glass top and complementary handle makes an unashamedly confident statement. Style the Grosvenor Bedside Table with industrial lighting alongside leather and suede accessories and detailing for an on-trend Urban look.